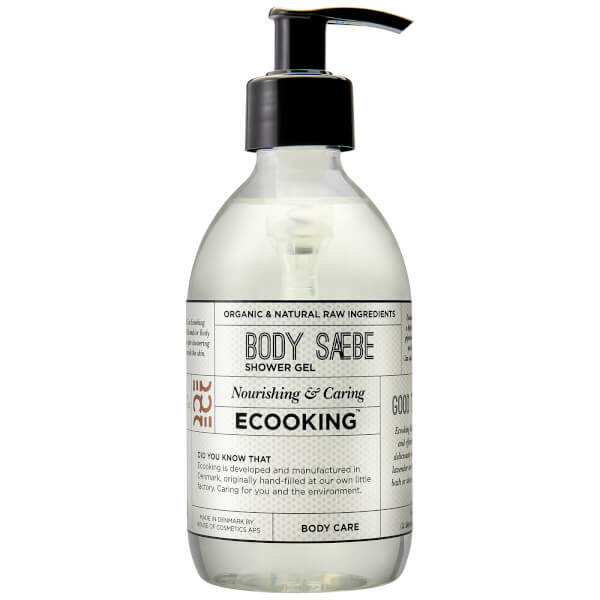 Gently cleanse the hair and skin with Ecooking Shower Gel; a two-in-one body wash and shampoo enriched with a cocktail of organic and natural raw ingredients. Utilising Glycerin, Organic Aloe Vera and Hydrolysed Wheat Protein, the mild cleanser gently eliminates dirt and impurities to leave skin feeling soft and hydrated, and hair looking shiny and healthy. Imparts a fresh fragrance of Orange, Lavender and Rose. Ideal for all skin and hair types. May be used daily both as hair and body shampoo. Rinse off with water. May be used on all skin and hair types.